The big game is quickly approaching and whether hosting a home full of hungry fans or in need of a dish to bring to a party, the makers of CHI-CHI’S® tortillas, chips and legendary salsas have created tasty recipes to help make your football gatherings more enjoyable and irresistibly flavorful. In a recent survey conducted by MegaMex Foods, we found that more than 93 percent of respondents believe salsa can enhance almost any meal or celebration. In fact, over a third of respondents claimed that if they could only eat one meal every day for the rest of their lives, it would be chips and salsa, so be sure to stock up ahead of game time. Championship Chicken Wings—Take your traditional wings to the next level with a combination of CHI-CHI’S®Smooth & Spicy Picante Sauce, honey, cumin and chili powder. Your taste buds are sure to do a victory dance. 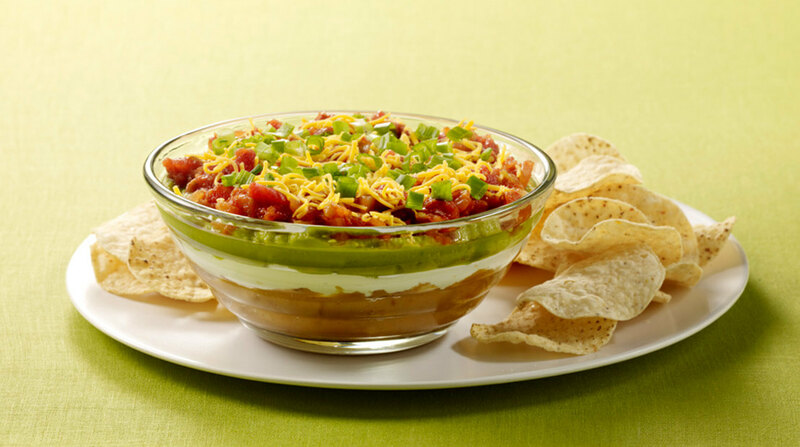 Fiesta Layered Dip—Prep this dip in under 15 minutes, leaving you plenty of time to catch the coin toss. Simply layer sour cream, guacamole and CHI-CHI’S® Thick & Chunky Salsa over refried beans for a delicious dip your guests will huddle around. Texas Nachos—Go big or go home with these Texas Nachos, which are made with ground beef, beans, cheese, guacamole, CHI-CHI’S® Salsa Con Queso and yummy spices to amp up the fun. Cheesy Chicken Fajita Dip—This warm dip combines queso, cream cheese, and taco sauce with shredded chicken for an irresistibly tasty bite. Cut CHI-CHI’S® Fajita Style Tortillas into wedges and bake for 10 – 12 minutes to serve alongside the dip. For more information about CHI-CHI’S® products, visit www.chichis.com, and follow us on Facebook and Twitter.